First the large, powerful feline discovers that, through some strange, inexplicable phenomenon, he now has the ability to understand human language. Then he discovers he can speak it as well! It’s a nightmare for a cat who’d prefer to sleep the day away carefree, but Joe can handle it. That is, until he has the misfortune to witness a murder in the alley behind Jolly’s Deli - and worse, to be seen witnessing it. With all of his nine lives suddenly at risk, Joe’s got no choice but to get to the bottom of the heinous crime. Rushing home to sit by her ailing grandmother's bedside, Violet Waverly is shocked to find Grandma Daisy the picture of perfect health. Violet doesn't need to read between the lines: Her grandma wants Violet back home and working in her magical store, Charming Books. 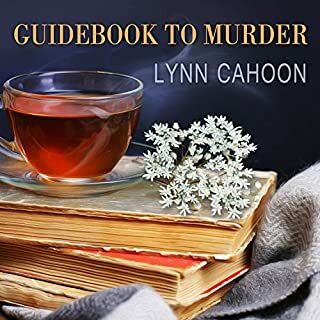 It's where the perfect book tends to fly off the shelf and pick you.... Violet has every intention to hightail it back to Chicago, but then a dead man is discovered clutching a volume of Emily Dickinson's poems from Grandma Daisy's shop. For feline PI Joe Grey and his companion, Dulcie, life is a bittersweet mix of endings and beginnings. While they joyfully await their first litter, they are also sad for their friend, the old yellow cat Misto, whose time on Earth is drawing to an end. But Misto tells them an exciting future awaits: Among the litter will be a little calico from the distant past who will be born with ancient markings and the adventurous spirit of Joe Grey. While the proud parents await the birth of their babies, their humans have their hands full with projects of their own. Kate Osborne has bought the old Pamillon estate, and Ryan Flannery is building a new cat shelter as part of their volunteer rescue project. The criminals are busy, too. The Molena Point PD has stepped up patrols to apprehend a mugger attacking the local elderly. 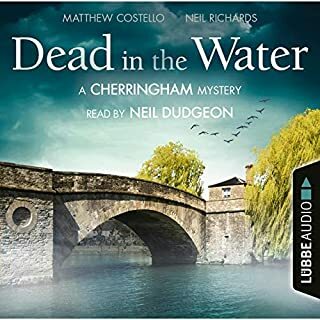 The case becomes a homicide when one of the victims dies, leaving everyone in the town - including Joe Grey and his furry sleuthing companions - on edge. When Dulcie gives birth, her little calico is just as Misto predicted, as if she has come back to the world from mythic ancient times. But the celebrations will have to wait. A murderer is on the loose - and neither young nor old is safe until the culprit is found. ©2016 Shirley Rousseau Murphy (P)2016 Blackstone Audio, Inc. I love these books. the author is so creative and writes a fun story. these are for animal lovers that have an imagination. I recommend the entire series. Molena Point, California is alive with the activities of its human and feline populations. Sentient cat Joe Grey’s lady love Dulcie has good news for everyone: she is expecting kittens! Joe Grey is beside himself with joy and wonder as Dulcie’s pregnancy progresses. However, they are saddened as the old yellow cat Misto is dieing. He says it is only his time on earth that is ending. He gives them many prophecies and says an exciting future awaits them all. He predicts that Dulcie will have three kittens, one of which will be a calico marked with the ancient markings of three black bands on her front paw. This kitten will have lived before and will bring an ancient adventurous spirit. While everyone protects Dulcie and her unborn babies, their humans have their hands full with a mugger who attacks the elderly, leaving them injured and humiliated. When one victim dies, it becomes a homicide for Captain Max Harper and his men to solve. Of course, Joe Grey is there to help as the “snitch” who calls in tips to the Molena Point Police Department. The reader must suspend their disbelief over this community of talking cats. Their secret is only known by a select few humans, and they prefer to stay anonymous to protect their secret. Keeping silent can be a daunting task. 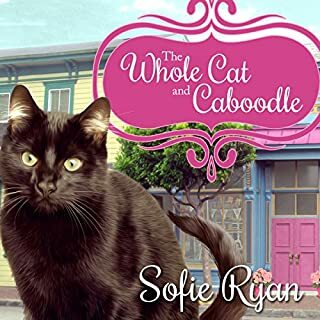 Kate Osborne is busy after buying the old Pamillon estate, including the ruins of the Pamillon mansion where the wild band of felines is currently living. It is on this estate that Ryan Flannery is building a new cat shelter to serve the volunteer effort of rescuing cats. During construction, several of the sentient feral cats lead Kit and Pan to the secret Netherworld to see the place from where the talking cats have risen. It is a harrowing trip through tunnels, dark places, and decay. The pair see artwork and porcelain and many treasures that picture the cats of the Celtic myths. The cats above worry about their return. Misto, Pan’s father, magically knows they are safe and allays their fears. This nineteenth entry in the Joe Grey series is a bittersweet mix of happy and sad, endings and beginnings. As Misto passes from this world, Dulcie has her three kittens including the calico girl he predicted. The other two kittens are boys; one is named Striker and the other is Buffin, both tan colored tabbies. While the cats and their humans wonder over their birth, the rest of Molena Point is still plagued by the street prowler. With no witnesses and few clues, they are at a loss as to who the criminal is and why he is preying on the elderly. Shirley Rousseau Murphy has written another enchanting tale which follows in the series beautifully. It can, however, also be read as a standalone mystery with some back story provided throughout. 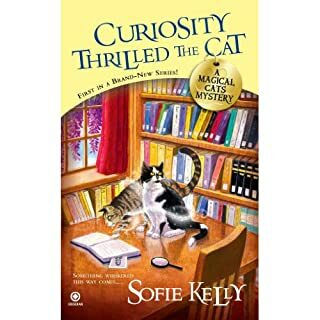 Mrs. Murphy creates a mystery full of twists and turns in the midst of a charming feline tale. There are many storylines swirled together. Narrator Susan Boyce leads us through them with ease. these books are so mysterious and wonderful. I love the card and their humans who love them enough to keep they'er secret! This series is so entertaining. The author makes the cats seem so real that I wish my animals could talk! 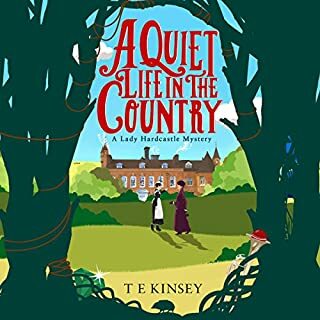 Loved, Loved, Loved this great read - listening on audible! I’ll be purchasing the next book indeed! My cat and I both found it delightful! We've been listening to it over and over. 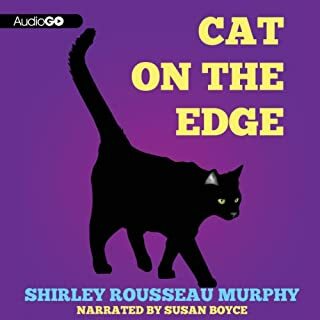 Where does Cat Shout for Joy rank among all the audiobooks you’ve listened to so far? Having followed Joe's life has been exciting and filled with mystery. His friends are people I wish lived next door.This is Ms B's best book. 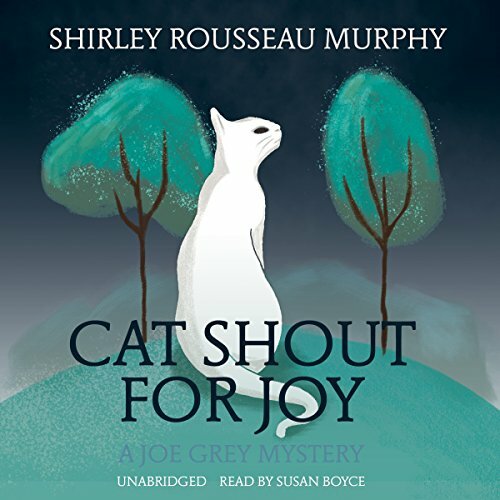 What other book might you compare Cat Shout for Joy to and why? Have you listened to any of Susan Boyce’s other performances before? How does this one compare? Ms Boyce's naration is magical she brings all the characters to life. I recommend these boos.Love cats, you will love Joe. I love these books, but this one hit home for me. Birth, death, and everything in between. Max and Clyde are starting to mellow. Glad akin and Pan made it through okay with all kinds of stories. As always the Villains get what they deserve. First time I've listed to audio in this series and I like them.